Must be part of an earlier time warp> here. The Cranfield report has been welcomed by the IOD and referenced by the CBI. Curious to know why the CBI via voice, Katja Hall, Chief Policy Director, thus far have only referenced the report and not backed it. Anyone can pay a little midle ground lip service, so why not state full backing? 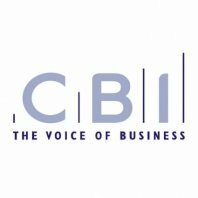 The CBI seem of late to be just happy balancing on the fence of opinion and its this partisan attitude that is leaving some of the business community wondering is there a need for the CBI any longer? ← Lost Generation(s) or Generation Right Off? Well I think it is the skills which holds importance in job not female gender. You are right, skills are the first priority but can only be measured or referenced properly when the sample has equality and this should also include people with perceived disability. In my opinion, at least. Thanks for the comment.